The Lyndon Town Court is located on Lyndon Road in the town of Cuba, New York. The town of Lyndon is located in Cattaraugus County, New York. The population is around 700 at the 2010 Census. The Town of Lyndon is located just north of the center of the eastern border of Cattaraugus County. Lyndon is often described as a “bedroom” community, having zero industry and no commercial properties. Improved property is primarily residential, recreational, and farming. The town of New Hudson in Allegany County is to the east of Lyndon. The north town line is bordered by the town of Farmersville, and the south town line is bordered with the town of Ischua. The town of Franklinville is west of Lyndon. Lyndon Town Court personnel are prohibited by law from providing you with any legal advice. 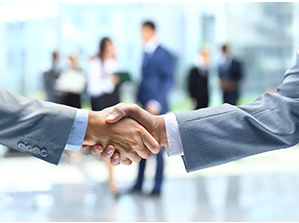 They will attempt to guide you through the process; but if you have legal concerns, you should seek the advice of counsel. 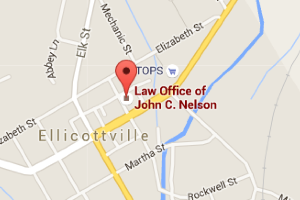 We help people fight traffic violations throughout New York state and are based in Ellicottville, NY. We serve the Cattaraugus County, Erie County, Allegany County and all other cities, towns and counties in New York State. If you need to fight your charges professionally, we are available 7 days a week to help. When charged with a traffic violation you may spend countless hours researching issues and preparing documents, compiling evidence, preparing for appearances and hearings taking time away from important things like work, family and leisure. Or, you could hire an attorney who handles these violations everyday and can swiftly help you decide on the most optimal course of action to get you back on the road with minimal exposure to the legal consequences that could potentially start from a traffic violation. Did you receive a ticket in Lyndon Town Court? It is not uncommon for an individual to attempt to defend a traffic violation on his/her self without knowledge concerning the procedure and customs of the local judicial system. However, oftentimes an individual who represents themselves risks missing deadlines, notices, and court proceedings because they are not familiar with the procedural rules and legal documents involved in any given case. Without an understanding of local courtroom rules and customs, people that choose to represent themselves, due to their lack of knowledge of these rules and customs, often unintentionally offend a judge or district attorney. 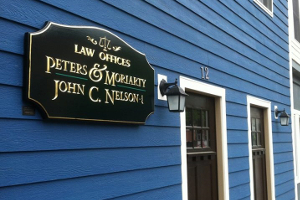 We help people throughout New York state and have offices in Ellicottville, NY and Cheektowaga, NY. We serve Cattaraugus County, Erie County, Allegany County and Chautauqua County and all other cities and counties in New York State. If you need to fight your charges professionally, we are available 7 days a week to help.